You gave the gift of light this Christmas. Thank you. This week we kick off in Glasgow as we film our long-time pal and well…PAL Ambassador Mr Scott Kennedy! Love beards? Love bromances…? Well if so the footage we made of Scott discussing how he feels about our brand is not to be missed – so keep an eye out on our socials! HOWEVER, the real-truth and all round PAL love in this blog is all about the impact YOUR purchases have made in the past few months to children in Africa. This week we packed an amazing 200 SOLAR LIGHTS to go to a school in Zimbabwe and each and every school pupil has you to thank! Kids in our partnered schools get better grades! We've proved it in Zimbabwe, the ability to do homework at night is life changing, all thanks to the gift of a solar light. You make this change possible by supporting our mission when you purchase our products. You have seen our products, you have heard our story and we cannot thank you enough for backing our mission and in all honesty for choosing to part with your hard-earned money all in the name of change. The real POWER in Power A Life comes from you and the futures you are allowing us to improve for children in Africa. So where exactly is your money going? TERRIFIC QUESTION READERS and one which I am highly enthused to answer! I assume most of you think, my money is going a little bit further than to fat cats’ pockets. And you’d be right. Our story has been building for years, and we are here to tell you just how crucial and life changing every penny of yours has been! It is here that we were given a huge insight into the lives of villagers living in poverty and where we realised the full scale of our challenge during a two week deep dive to understand challenges children face. We also ran My Favourite Place here! 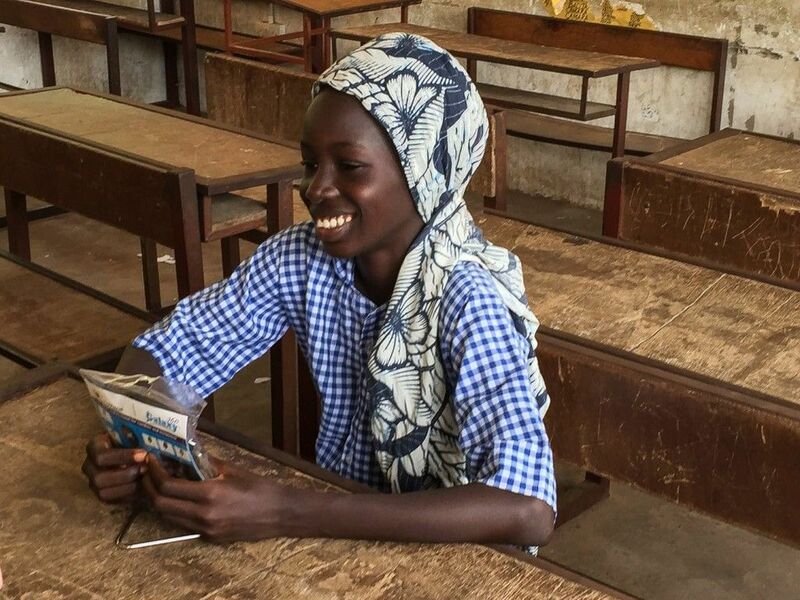 In one of the primary schools we've partnered with in Banjul, there are around 1500 – 2000 pupils, 80-90% of which have no power at home and as such, could not complete their homework. The solution? Give them solar lights to charge during the day, and use to study at night. The first 'proper' gifting trip, and most importantly where we started to track and measure our impact. After all, what is the point in even doing this if there was no proof that we could make a difference? They hadn’t worked any harder, they hadn’t read and understood Steven Hawkins, ‘A Brief History of Time,’ and become brainiac’s… they had simply been given a light. Year 5 pupils especially, made us want to hop on a plane and give them all hi 5s as they had gone from a 19% average to 56% average. Meaning that they could graduate on to high school. Any why is this so significant? Because those who score over 50% in class tests get into high school. As a result they will earn more money, live longer, and be given more opportunities to lift them and family out of poverty. PALs. Thanks to you an entire generation of a school pupils can graduate from primary school and improve their lives. Wow!!! Incredible statistics which prove what a difference you are making to these young lives. Truly inspiring.